Old School Eatery pays homage to its location in historic Mountain View School building. Old School Eatery owner Chris van der Linden. This article first appeared in print in the February issue of Revelstoke Mountaineer Magazine. It took me a minute to get the name of Revelstoke’s newest restaurant: Old School Eatery. Aha — as in its location in the old Mountain View school building on Third Street West. 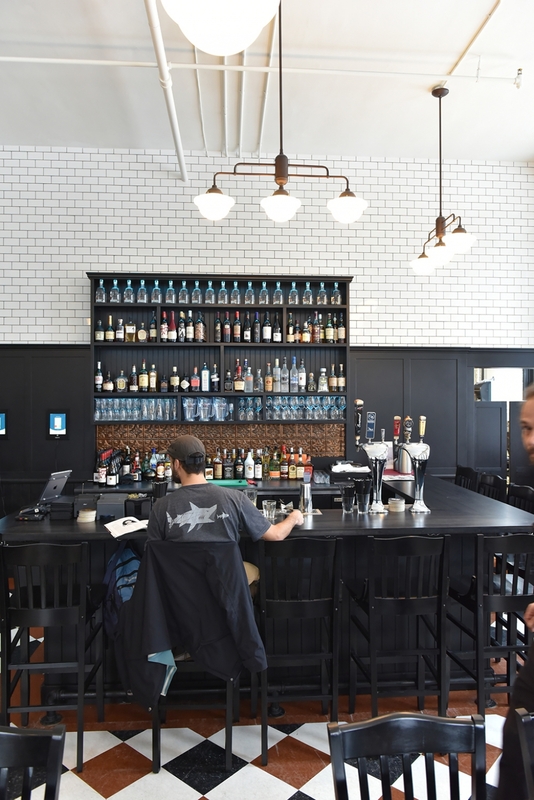 The historic former school building has been extensively renovated and transformed by a collection of new tenants including Jones Distilling, a spacious co-working space upstairs, and now a locally-owned restaurant serving breakfast, lunch, and dinner. Old School’s bright, open-space concept features a blend of the new and old, meant to create a classic fusion. 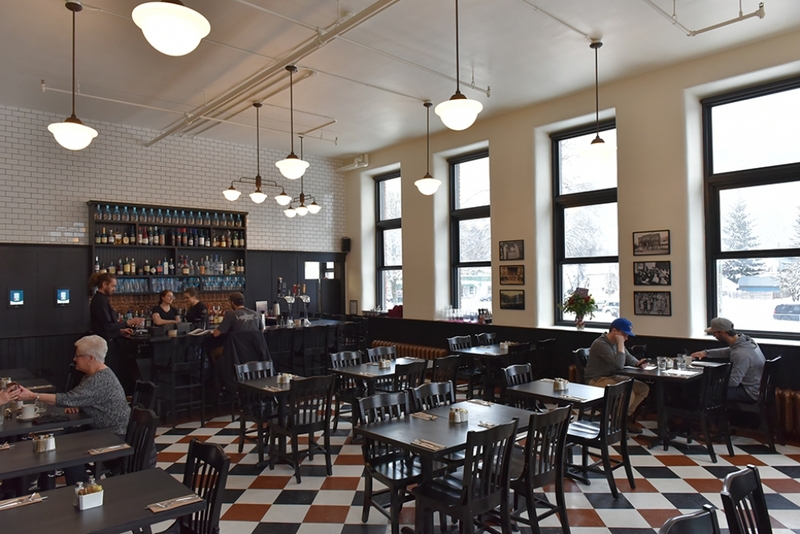 The elevated white ceilings and walls are framed by large windows with a south-southeast view, all anchored with original black wainscoting leftover from the restaurant’s past life as a classroom. The sandblasted radiators are originals. Copper and black checkerboard tiles draw your eyes to the room’s centrepiece raised bar. The walls are lined with historic photos from the old school, from newsboy-capped children in the ‘30s, to a sparsely mustachioed basketball team in short shorts from the ‘70s. Restaurateur Chris van der Linden has a lifetime of restaurant experience, starting out working alongside his parents at Vancouver’s original sushi restaurant, Geisha Gardens, located in Vancouver’s downtown corporate district. 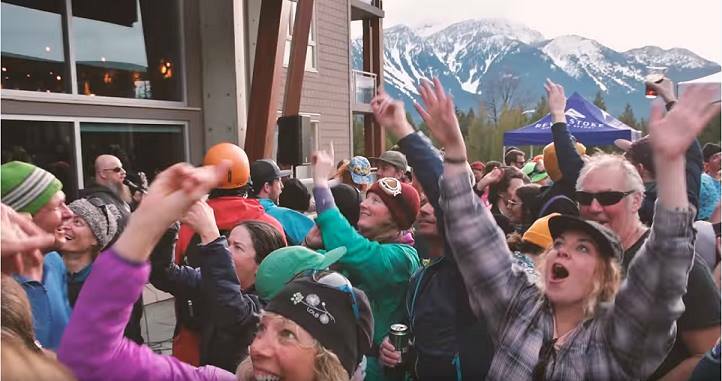 Since then he’s held many restaurant and nightclub positions, most recently with Revelstoke Mountain Resort’s food service wing, where he oversaw the Rockford, and helped the company open new locations of the franchise across B.C. 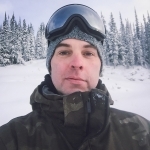 When it came time to strike out on his own, van der Linden sought out a niche in the increasingly crowded Revelstoke restaurant scene, originally planning to create a dawn-to-dusk diner. When the Mountain View location came up, he changed plans. “I just thought it was too nice to put a diner in, but I still wanted to keep that comfort food feel,” van der Linen said. He adjusted plans and is targeting the gap between casual and fine dining, both in decor and on the menu. “I wanted it to feel like it could have been here 100 years ago,” he said of the interior. 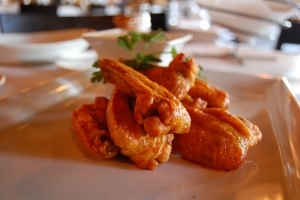 Van der Linden surveyed local menus and sought to bring new options to the table. “I knew that whatever I opened I wanted to serve chicken and waffles,” van der Linden said of their lunchtime staple. Other Revelstoke originals are Bayou Bouillabaisse with catfish, mussels, and prawns; a fried chicken sandwich with catfish, braised Korean pork belly tacos, and a seared duck breast main. These originals are in addition to standards including steaks, burgers, and pasta dishes. 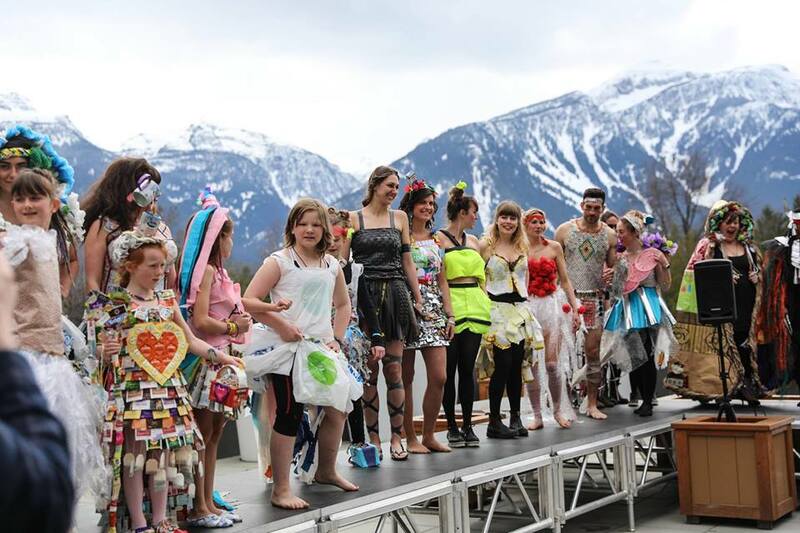 For van der Linden, attracting a diverse local crowd is a priority. The menu features a number of starter and tapas selections, making it a spot to meet up for wine or beer in an atmosphere niche in between the pub and local fine dining options. Van der Linden also wants Old School Eatery to be known for its service. We chatted in his first week after opening, and despite the 1,000-yard-stare of someone who’s just built and opened a restaurant, he’s still eagle-eyed on the details, getting up during the interview to dust off and overturn a cushion. “The whole idea is to target locals,” van der Linden says. 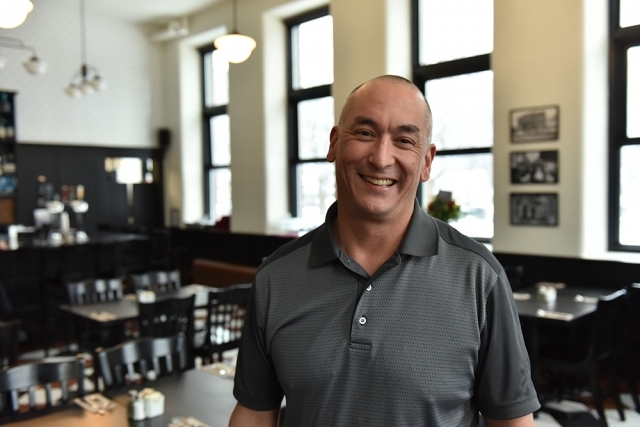 There’s lots of money to be made in the seasonal rushes, but his path to success is building a loyal local clientele who come back for the original food and consistent service. Old School Eatery is located at 616 Third Street West and is open early for breakfast and late for dinner.